BookBook Rutledge Edition is the most distinctive version of our unique BookBook family. No two look exactly alike. Like our other BookBook models, this beauty features two hardback covers, a rigid spine and a velvety soft padded interior to protect your iPad. BookBook features two hardback covers, a rigid spine, and a velvety soft padded interior to protect your iPad. While the case protects your iPad, the design protects your unique sense of style. Classic hand-crafted genuine leather makes the BookBook a sophisticated carry and work case for your iPad. Condition is Used. This case protects and disguises your iPad mini. It has a zipper and hard leather cover and back so that your device is well protected. I upgraded to a new iPad and do not need this case now. Application/Usage: iPad Pro. Compatibility: Apple - iPad Pro. Has a space to hold your Apple Pencil. Material: Leather. Weight (Approximate): 10 oz. Depth: 0.8". Width: 7.6". Bookbook case for iPad mini Zipper closure Looks like an old book! NWT. 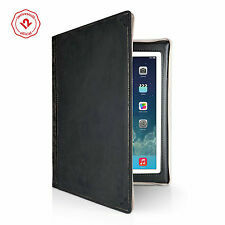 Hardback leather case and display stand for iPad. 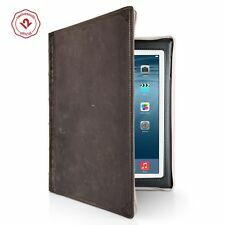 Each BookBook is a handmade, one-of-a-kind, hardback leather case designed to protect and enhance your iPad experience. Protection comes in the form of two hardback book covers, reinforced corners and a rigid spine. Inside you'll find a padded interior, along with a built-in display and typing stand. As a bonus, BookBook disguises iPad as an vintage book, adding a level of theft protection. Lot Of 2 Twelve South Bookbook For Ipad Mini Gen 1-3. Condition is Used. Shipped with USPS Priority Mail free to the lower 48. Selling 2 of these great cases for iPad mini. These will fit generations 1-3. Designed to free the artist in you, BookBook tilts iPad Pro to the perfect angle for typing or effortless drawing and sketching of your NEXT Creation. When your work is done, fold BookBook into presentation/display mode to show off your masterpiece. Designed to free the artist in you, this BookBook tilts iPad Pro to the sketcher’s angle for effortless drawing, painting and sketching your next big idea or creation. When your work is done, fold BookBook into presentation mode to show off your masterpiece. Tucked inside BookBook, no one will ever see your iPad, even when it’s right under their nose. BookBook is a great disguise and a simple way to reduce the risk of getting your iPad, and all of its valuable content, stolen. 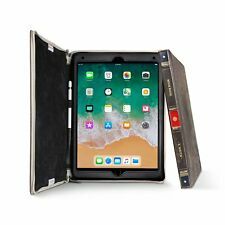 BookBook for iPad is a uniquely handcrafted one-of-a-kind, hardback leather case that doubles as a fully adjustable stand. BookBook for iPad forms a safe cocoon around your prized iPad. As a bonus, the unique design of this case disguises iPad for an extra level of stealthy security.